This Lord of the Rings movie book juniors t-shirt features the White Hand of Saruman mark on the front. Saruman the White was an Istari, or wizard, who lived in Middle-earth during the Third Age and was a key figure in the events of the War of the Ring. 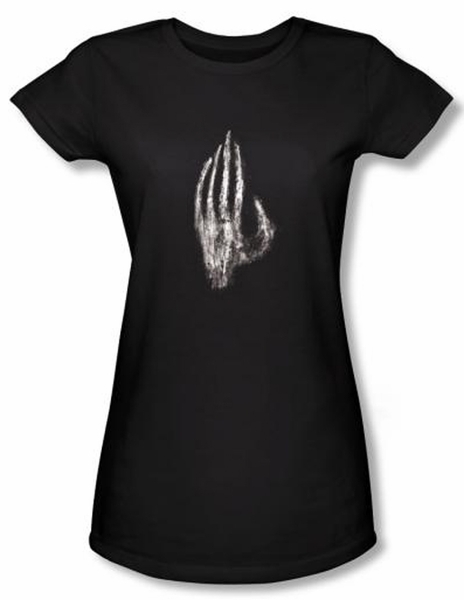 Our Lord of the Rings Tee Shirt is an incredible t-shirt for any fan. The trilogy was a great financial success, with the films collectively being the sixth highest grossing film series of all time.